If you have the Kwikset lock, the Yale should fit without issue. On another note if you have the same lock you can sometimes buy a new radio to go in your existing one. You can get a used like new module for $53. The Z-wave RF chip adds Z-wave compatibility to all Kwikset "Home Connect Ready" Locks. Please verify your lock is "Home Connect Ready." I agree with @jhamstead, Kwikset modules start giving trouble after a while, Schalge and Yale are better options in the long run and unless you need a specific feature of Schlage (like latching or alarms), Yale is generally better overall. The Assure and AssaAbloy ones are excellent! 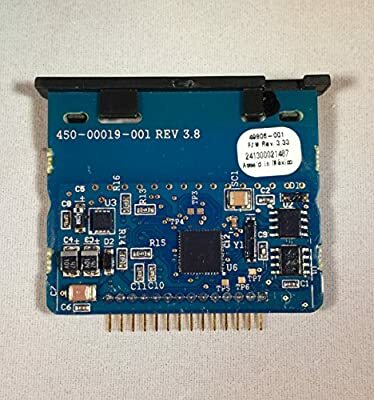 Small derail, but how do you chose between Zware or Zigbee when buying stuff? Depends on what devices you already have. Personally I have Z-Wave GE switches throughout my house so I know I won’t have signal issues adding another Z-Wave device. ZigBee however I have to keep a couple pocket sockets plugged in to make sure they all work correctly (debating a couple ZigBee GE switches to get around that but they are expensive). I should buy mostly Zigbee stuff? I’m pretty sure Phillips Hue is WiFi based. If the product says “no hub required” then it isn’t zigbee or z-wave. If you have SmartThings, you can go either way on z-wave or zigbee. But zigbee versions costs more. So there’s little reason to get zigbee unless there’s a device they have that z-wave doesn’t. This is sort of the problem with Amazon putting zigbee into Echo Plus. Nice idea, but they just chose sides in the format war, and they chose the more expensive one. If you are using the Phillips hue bridge, that forms its own mini network, and the fact that that mini network is using zigbee shouldn’t in anyway impact what you choose for your other devices. The integration between SmartThings and the Phillips hue bridge is an LAN integration. Many community members have some of each protocol, you just need to make sure that you have enough repeaters for whatever you are using. Read the following FAQ on wireless range and repeaters and it will explain that issue. In particular, read post 11 in that thread, then go back up to the top and read the whole thread. Zigbee isn’t necessarily more expensive, it just varies by device and manufacturer. For example, there are several zigbee motion sensors of very good quality which are noticeably less expensive than the Z wave devices of equal quality. This is the main reason that the Lowe’s iris motion sensor (zigbee) is so popular in the community. Amazon probably chose zigbee for the echo plus because of the “simple setup” feature, which is not available with the Z wave protocol at the present time. Just to post the information somewhere, but Kwikset released the Obsidian “Smart Home” version, and it looks like they have made it sorta-kinda exclusive to amazon at least at launch. That makes it seem like it’ll only work with Amazon’s crap, but I bought one and it’ll pair with ST hub no problem. I had to manually edit it in the IDE from a generic zigbee “Thing” to a Zigbee Lock, but after I did that I was able to control the lock without any issues. I guess Amazon pressured them into dropping zwave for zigbee so it would work with the Echo. Hi, Are you able to configure & manage the lock’s additional entry code and view unlock/lock history? I am able to see lock and unlock history, as well as if the lock was locked via turning the lock manually or not. It tells me that the lock was unlocked via “code 0”, which is probably the code I entered before adding it to smart things. I haven’t tried to add codes via ST, but with the right smartapp it should be possible. I’ll try and do that this weekend. The new smart locks function that’s built into a classic app has the ability to do this. Go to your home screen and scroll to the bottom, it should be under smart home monitor by default. Huh, so it does. I don’t remember seeing that before, but I always go straight to the device list when I use the app. So yeah @ronin1 I am able to configure and manage lock entry codes + view unlock/lock history. which DTH works with Smart Locks? I was using [ethayer : Z-Wave Lock Reporting but saw somewhere else that that DTH wouldn’t work with Smart Locks, but I’m not sure which one to use. I tried to pick “devicetypes/smartthings/zwave-lock.src/zwave-lock.groovy” from the SmartThingsPublic Repo, and get a " Access Denied We’re sorry, but you are not authorized to perform the requested operation." First some background. I purchased a Kwikset Model 914 for my mother. I use ethayer : Lock Manager and everything works great. I can add codes, etc and they work. No problem. 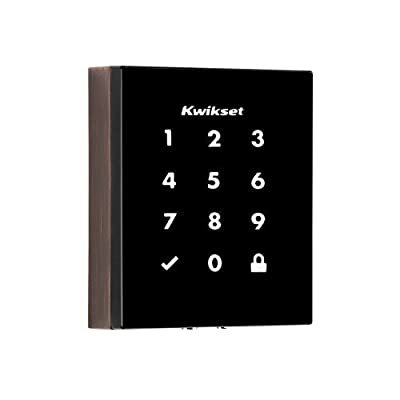 Then I purchased a “Home Connect Lock Module, Rf Z-wave Chip REV 3.8 for Kwikset Models 909, 910, 911, 912, 913, 914” and put it into my Kwikset Model 913, which originally didn’t come with a z-wave module. When I tried to add it to ST Things, it is found as a Model 910. Thought Oh well, and when I try to access through the Lock Manager program, it will not accept codes, since they don’t work to unlock the lock. Perhaps the Chip isn’t compatible with the 913 lock? Even though the description said it was? 5d687bb7-acb5-417e-8190-701b56e952bb 12:18:12 AM: debug Initialize lock data for user. 5d687bb7-acb5-417e-8190-701b56e952bb 12:18:09 AM: debug Initialize lock data for user. 5d687bb7-acb5-417e-8190-701b56e952bb 12:18:06 AM: debug Initialize lock data for user. Also the data that shows up under Current Statesfor the two devices in IDE is vastly different. It looks your chipset does support programming but you need to line up a few things for smooth operation. Open the IDE -> My Devices -> Click on your Lock -> Scroll down Click Edit -> Select Z-Wave Lock from the list of types to use the stock ST ZWave Lock device handler (you don’t need to go through GitHub for this). Update/ Save the page. Then use Smart Locks or if you have access to RBoy Apps, use the Lock User Managment (LUM) app (which uses the Sure Programming engine for weak meshes) and try to program a code. If you’re using Smart Locks you may need to try a couple of times depending on your mesh quality, with LUM it’ll retry automatically. For best results use a new code (don’t repeat the same number) as a previous code, this lock is a little finicky with code combinations and how it handles duplicate codes sometimes. Now you should be able to program codes. Feel free to PM me your IDE logs if needed to verify any details. I’ve done a little more digging and tried to get the Smart Locks app which comes with SmartThings to work. I’m able to enter codes, they show up in the Current States of the Lock in SmartThings>My Devices, but the lock will not respond when I put the codes into the keypad. Something seems squirrely. The reason I ask is that your app is a $37 per licence (I have 3 locks). If I cannot get your app to work, will you provide support to make it work?